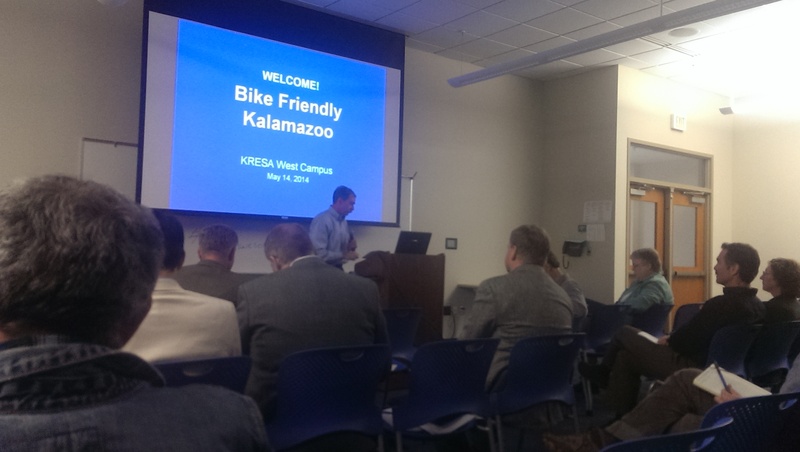 Over 30 individuals from various agencies attended the Bike Friendly Kalamazoo meeting on Wednesday, May 14 to discuss the work a group has been involved in over the past few months. A number of biking routes were reviewed and are preliminary proposed to those in attendance that highlight bike routes from community to community in the Kalamazoo area. The routes have not been finalized. 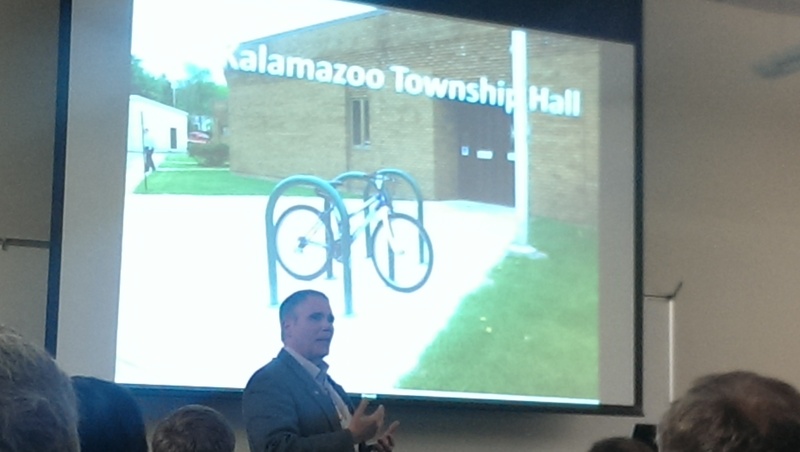 Local townships, such as Kalamazoo Township, are embracing the routing and are encouraging bike riders by adding bike racks to their office parking lot. 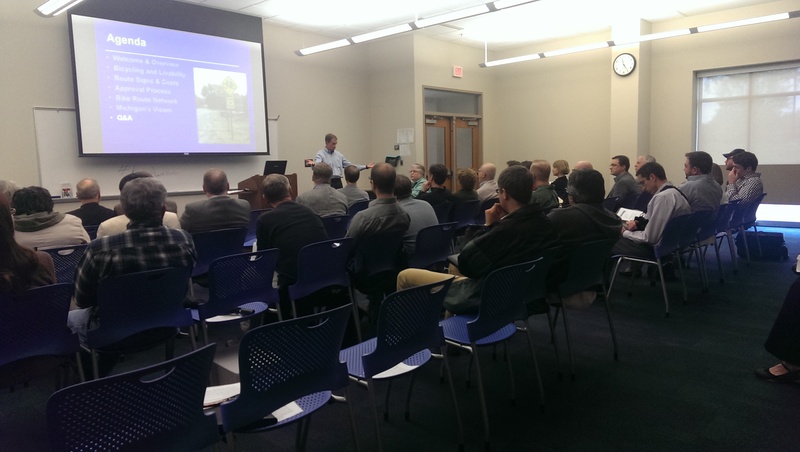 Chris Barnes with the City of Portage presented a proposed signage project that would identify how to get from community to community through wayfinding signs. Bobbi Welke of the Michigan Department of Transportation highlighted how the State of Michigan is working to be a Trails State and announced that the second edition of the Southwest Michigan Trail Map will be published soon. More information on Bike Friendly Kalamazoo is available at www.bikefriendlykalamazoo.org.